As Americans grow more and more health conscious, the chefs who feed them have begun to make changes to their menus. Over the last couple of years chefs across the country have been adding more veggie-centric entrees to their menus – a move that both meets a new demand and proves that vegetables can in fact be the star of a dish. According to a study from the end of last year, New York is the most herbivore friendly city in the U.S., followed by Portland, Oregon, Orlando, San Francisco and L.A. That said, even chefs in cities known for their traditional meat and potatoes, like Omaha and Kansas City, made the list. 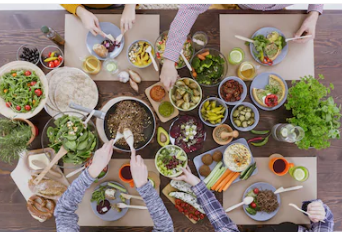 This movement is a nice complement to the farm-to-table trend that has been so popular in the U.S. recently; many of the restaurants which feature vegetarian or vegan entrees are also committed to sourcing their produce locally.